In advance of the Spring Meetings and just in time for Earth Day, the Bank kicked off its support for International Year of Biodiversity on Wednesday with a new edition of its flagship magazine, Environment Matters. 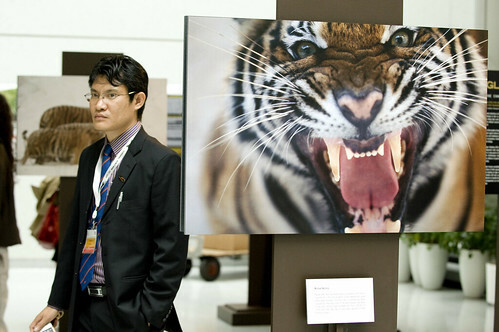 The magazine, "Banking on Biodiversity," was launched Wednesday by President Zoellick at a special event at the Bank's headquarters in Washingont DC to draw attention to the plight of the wild tiger, a potent symbol of the threat to biodiversity worldwide. "We are using the appeal of these charismatic big cats as a clarion call," said President Zoellick, "to draw attention to the need to protect biodiversity and to remind people of the wildlife and wilderness we stand to lose if we do not balance conservation and economic development."